Unique moments require unique cars regardless of the purpose of your journey. Bavaria Mobility, the only company providing mobility solutions dedicated to premium brand is oriented towards accessible exclusivity, offering an impressive price / quality ratio. 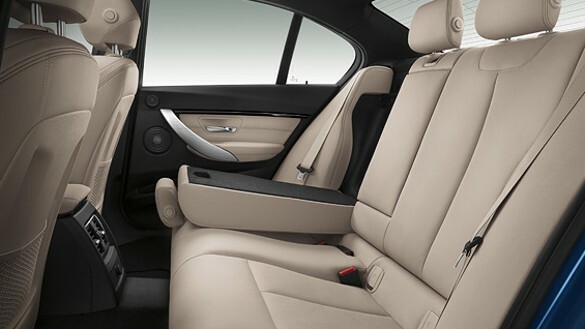 Therefore, even though BMW cars are exclusive, through us, BMW cars become available, so you can enjoy both the comfort and the premium experience of driving a BMW, regardless of the type of trip (business or leisure). Let yourself be surprised by the sophisticated materials and innovative design welcoming you into the interior of the car! 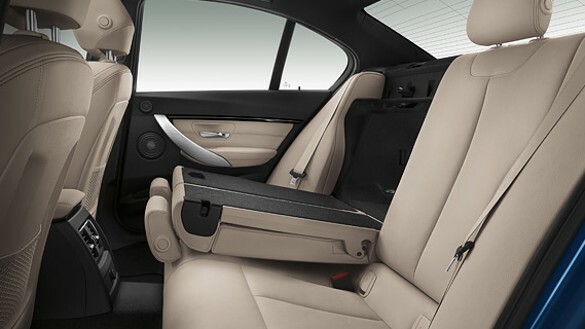 BMW designers are motorboat inspired, the interior being complementary to the exterior design, while being supplemented by elegant arrangements. All control tools are easily accessible due to their slightly asymmetrical arrangement. Each button or display was created for the driver’s accessibility, designed and positioned precisely where your intuition expect to find each of them. The car’s interior is practically equipped, with virtually all relevant information for driving and safety. If necessary, they are designed directly into your field of vision via the Head-Up Display in the BMW ConnectedDrive. Slightly to the right is the display and slightly below your right hand you can intuitively find the gearshift, while the Driving Experience Control system is located on the center console. Besides these, at the reach of the front passenger is the iDrive Controller. Among other functions, this controls navigation and infotainment systems. With Bavaria Mobility Team you can enjoy using the BMW ConnectedDrive service which combines unique equipment offering outstanding mobility. Or, more simply said: more fun when driving. BMW ConnectedDrive services are a sample of the philosophy of network connections between the car, its driver and the outside world. Short distances are overcome by ultrasound, while larger distances are covered using mobile technologies. The intelligent interaction between online services, systems driver assistance and integration solutions for smpartphones sites offer those driving a BMW assistance in any situation, whether it comes to comfort, the right information at the right time or soothing feeling of safety in any travel. Whether you want to check your bank account, to bid on eBay or to look for information on Wikipedia – BMW ConnectedDrive option lets you do everything you need online. 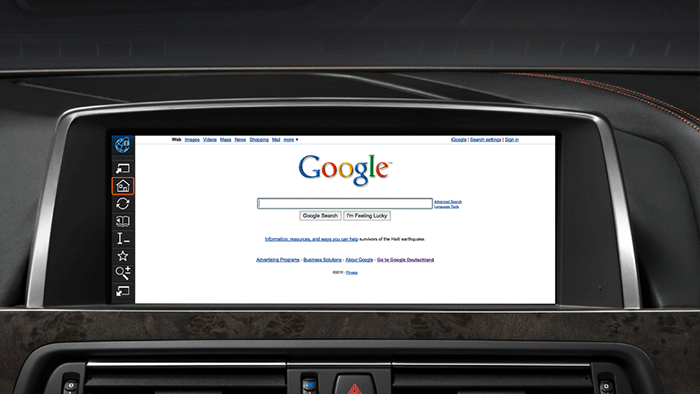 To enable browsing on the web, choose the iDrive Controller in the center console, doubles as a computer mouse, when your mobile device is connected to the car via Bluetooth. Costs may vary depending on your contract with your mobile service provider. An optional connection for Bluetooth or USB devices, in combination with a navigation system and a smart integration of business mobile phone, facilitates your access to other functions such as e-mails, appointments, tasks at work or SMS which will appear on the Control Display, or which can be heard through speaker audio system using text-to-speech option. In addition, by using Bluetooth Audio Streaming you can listen to your favorite music without wires. 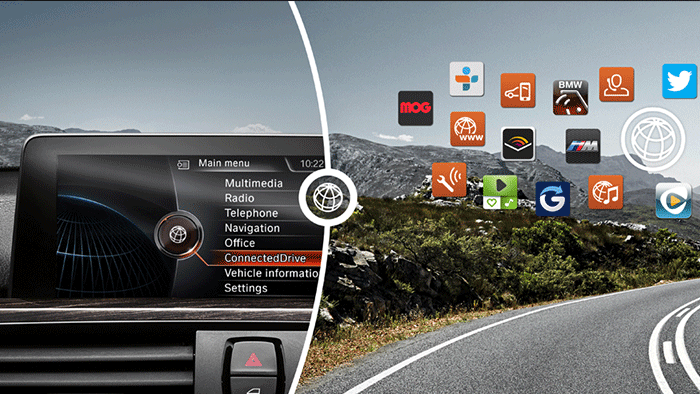 Part of the technology ConnectedDrive services, BMW Apps allows you to use numerous applications via iPhone or by using “BMW Connected”. These include radio stations on the internet, your iPhone calendar, Facebook, Twitter, and more. Once you’ve downloaded the free app “BMW Connected” from the Apple App Store all you have left to do is to connect your iPhone to your car. BMW Live gives you access to a selected content (such as news, weather and local search on Google) through active data connection via Bluetooth on your cell phone. 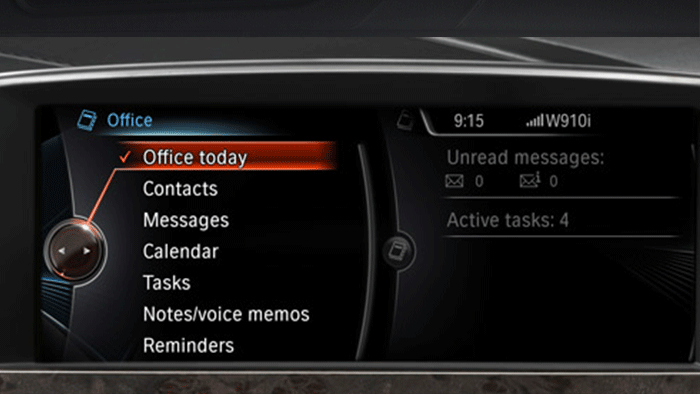 The information appears on your car’s Control Display, BMW Live being adjusted via the iDrive control. Additional services can be selected from “Applications”. Since we already know that unique moments require unique cars, Bavaria Mobility turns an exclusive BMW into an affordable one, according to your needs! Let your imagination fly and spend unforgettable moments in a high quality atmosphere, representative for all BMW cars. Moreover, features as great comfort and certainly impressive functionality are available not only if you are the driver, but for the passengers as well. Whatever the purpose of your journey is, business or leisure, Bavaria Mobility is the perfect solution. You can deposit your travel accessories in the storage compartments from the center armrest and in the cupholders from the center console. 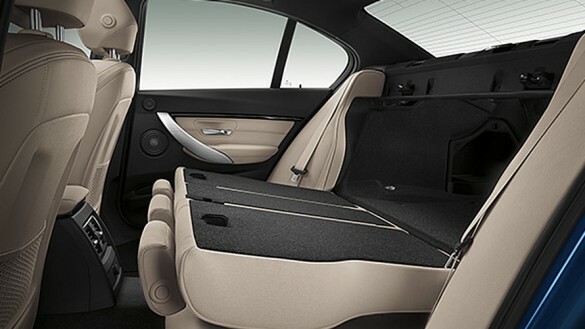 The large luggage has space in the ample trunk, where 460 liters allow the easy transportation of voluminous objects. Furthermore, the automatic climate control of all four zones and electric sunshades for the rear windows complements the feature package. 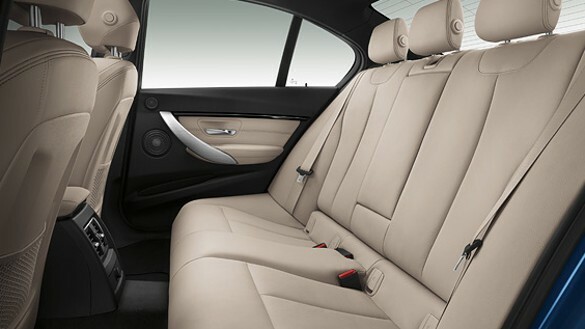 The seats are comfortable and perfectly adapted to your body shape. High quality leather ornaments fit perfectly with all seams that adorn the leather central console and the upper sections of the side panels. This luxurious appearance is filled with special wood or aluminum trims.